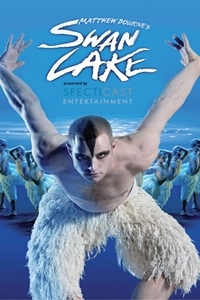 Matthew Bourne's Swan Lake (NR) Runtime: 2 hr. 0 min. When it premiered at Sadler's Wells in 1995, Matthew Bourne's triumphant re-interpretation of Swan Lake turned tradition upside down, taking the dance world by storm. Now you can watch this modern day classic accompanied by state of the art surround sound. An iconic production, perhaps best-known for replacing the traditional female corps de ballet with a menacing male ensemble, was filmed at Sadler's Wells, London in 2011. Breathtaking in its drama and intensity. With more than 30 international theatre awards including three Tony's and an Olivier, Swan Lake has been acclaimed as a landmark achievement on the stage, becoming the longest running ballet in the West End and on Broadway.